I'm pleased to be hosting Nonfiction Monday here at The Flatt Perspective. I can't wait to see what nonfiction books other Kidlitosphere bloggers have been talking about this week. I know it's going to be great. Please leave the info about your Nonfiction Monday post here on the Google form. 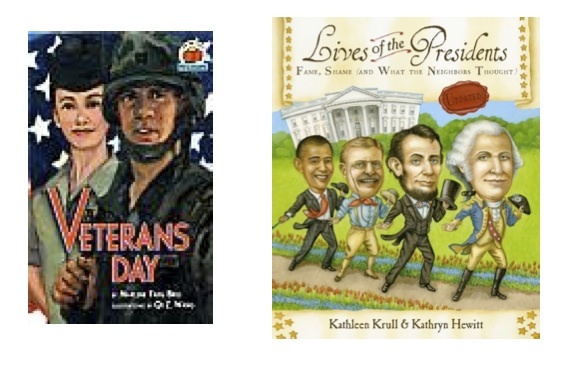 Then check back tomorrow, Tuesday, to see the complete round-up of what's what in nonfiction for kids and teens this week. For now, I'd like to share the terrific "Counting on Fall" Teacher's Guide pdf that OwlKids Books put together for my newest nonfiction picture book. It's free and full of activities and reproducibles for the K-2 classroom or home or library. "Counting on Fall" is about math and fall nature phenomena. What if animals and plants knew math, just like you? Would leaves fall in patterns? Would whales enter a race? Count on some math fun while thinking about those what if's and more. Thanks for stopping by, and I'll count on seeing you tomorrow! Okay, now we're ready for our roundup! Don't you love how those asterisks let us jump in time? Magical I tell you. Laura Salas is talking about Waiting for Ice over at her blog LauraSalas: Writing the World for Kids. Laura says "Waiting for Ice is a beautiful nonfiction picture book about an orphaned polar bear cub's efforts to survive." From The Nonfiction Detectives, Louise and Cathy share that "We had the opportunity to interview Monica Kulling about her new picture book biography." Check out the interview and a review of Going Up! by Monica Kulling. Jen at Perogies & Gyoza is also featuring Monica Culling's Going Up! : Elisha Otis's Trip to the Top this week. She says of the book: "Great introduction to the world of invention and entrepreneurship via the invention of the elevator." Over at Shelf-Employed, Lisa is featuring a review of the nonfiction picture book Seahorses, by Jennifer Keats Curtis. She adds "Check out the video, too!" Hop on over to Supratentorial to see Alice's review of these three books. Alice says: "I am sharing three new picture book biographies: Noah Webster and His Words, Barnum’s Bones and Brothers at Bat. The subjects are different but all three books have in common that they are great short biographies for elementary school students." Amy at Hope Is the Word features Helen's Big World: The Life of Helen Keller. Amy adds "This is a fantastic new picture biography of Helen Keller by Doreen Rappaport. It is a part of her Big Words series." Amy highly recommends it. Jeanne's blog True Tales & A Cherry On Top features the picture book biography Touch the Sky - Alice Coachman, Olympic High Jumper. Jeanne says: "Touch the Sky is an inspiring true story about a young woman who dreamed to soar, and pursued her dream. As the book jacket says, 'In Alice Coachman's Georgia hometown, there was no field where an African-American girl could do the high jump, so she made her own crossbar with sticks and rags.'" And don't miss Heart of a Child where Rob Reid features A Leaf Can Be.... as a great read-aloud choice. And there are a few Q&As, too, with the book's author, Laura Purdie Salas. Finally Roberta of Wrapped in Foil brings us two titles in the Math Every Day series. She says "These books are a great way to introduce beginning math concepts." Amelia at Challenging the Bookworm features Bill the Boy Wonder: The Secret Co-Creator of Batman. She explains, "I bought this book for my library specifically with a graphic novel fan in mind, and she didn't disappoint me. I've never known a lot about comics, although I've enjoyed the films over the years, and now I can impress someone with my new knowledge. Plus, it's a Cybils contender in the Nonfiction Picture Books category." And you won't want to miss Sal's Fiction Addiction where Sally shares Nic Bishop Snakes. Sally says, "I love sharing the books that I am reading with others who are interested in literature for children and their adults...be they teachers, parents or extended family." SimplyScience features the timely Environmental Disasters. Shirley describes the book: "Environmental Disasters is about several major environmental disasters, their causes, and their consequences. It discusses the efforts made to change or improve conditions so that they don't occur again." Abby of Abby the Librarian shares that "Just in time for Nutcracker Season, I have a book all about the behind-the-scenes of becoming a ballerina and starring in the show." She does indeed. She features Becoming a Ballerina. At A Teaching Life Tara brings us National Parks: A Kid's Guide to America's Parks, Monuments and Landmarks by Erin McHugh. Tara enthusiastically states that the book is "a wonderful book on National Parks and monuments." You'll want to head on over to see the other great nonfiction titles she's highlighted as well. And don't forget to visit Charlotte at Charlotte's Library. 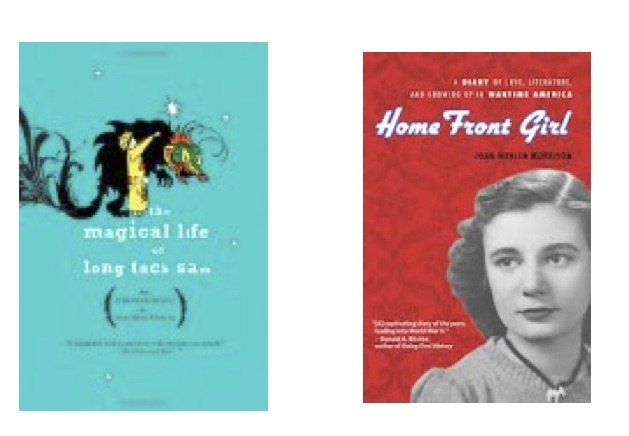 She notes "I have a lovely YA book this week--Home Front Girl: A Diary of Love, Literature, and Growing Up in Wartime America, the actual diary of Joan Wehlen." I think that's all for Nonfiction Monday this week. Did you enjoy it as much as I did? It's been a pleasure to look at this terrific selection of books and blogs. I hope I haven't forgotten anyone (if so just email me to let me know and I'll add you). Have a great week! Thanks for hosting, Lizann! Wow--that's one of the coolest teaching guides I've seen! Very nice. I'm in sharing Waiting for Ice, a picture book about a polar bear cub on Wrangel Island (I did the form). It's a beautiful, informative book! I'm featuring a beautiful book about seahorses today, http://shelf-employed.blogspot.com/2012/11/seahorses-review.html. Thanks for sharing the resource link to Counting on Fall. Librarians can often use those guides as well for storytime activities. I have a lovely YA book this week--Home Front Girl: A Diary of Love, Literature, and Growing Up in Wartime America, the actual diary of Joan Wehlen. Thanks for hosting! I agree with Laura -- that's a terrific teaching guide for your new book. Congrats! In honor of the day, my selection is" Veterans Day" written by Marlene Targ Brill with illustrations by Qi Z. Wang. Thank you for hosting today. I'll be sure to check the teaching guide, too. Shelf-employed, I can't believe I forgot libraries could use teaching guides on my first go round. I've now added that to the post. Laura and Jeanne I'll pass along your compliments to the editor.